Lovely stationary inspires great letter writing. The following is a guest blog post by MarketingMel Associate Sarah Kinsler, a millennial who still loves to write letters the old fashioned way. Last month, according to my cell phone bill, I received over 900 text messages. Everything from funny photos, to sweet good morning messages, to reminders for work. Funny though. If you asked me to remember the best text I received in December, I couldn’t tell you. I could however tell you about the two letters I received in the mail over the last few weeks. One being a card from one of my closest friends who recently moved to another state. She included a adorable picture of her dog and a short note about her recent ventures. While this friend and I talk daily via text, social media and calls, the letter meant so much more because she took the time to write it. In honor of National Letter Writing Month and the fact that I was gifted that CUTEST Kate Spade stationary for Christmas, I am supporting an old fashion, but effective form of communication. Maybe I’m an old soul, but I enjoy letter writing, always have. When my best friend in the entire world moved away in middle school, we turned to writing letters. (This was before “texting” became the social norm.) I started writing letters in middle school and continue to send notes, postcards and letters whenever I feel the need to say “hello”. A text is great for saying, “Hey, we’re out of bread” or “Running five minutes behind” but doesn’t really work when you are expressing thanks or showing a person gratitude. A letter makes your message stand out. It lets the person see a different side of you. Social media is a great way to get a glance at a person’s current happenings. However, people are only sharing their public news. Writing letters is a great way to stay in touch without all 759 friends looking at your post online. Writing a letter is a great way to improve your written communication skills. What better way to improve your writing skills than expressing your thoughts in a card and making someone’s day. This link is a TED talk by Hannah Brencher who started a letter writing movement. Watch to see what letter writing means to her. What have been some of your finest memories of writing or getting hand written letters? 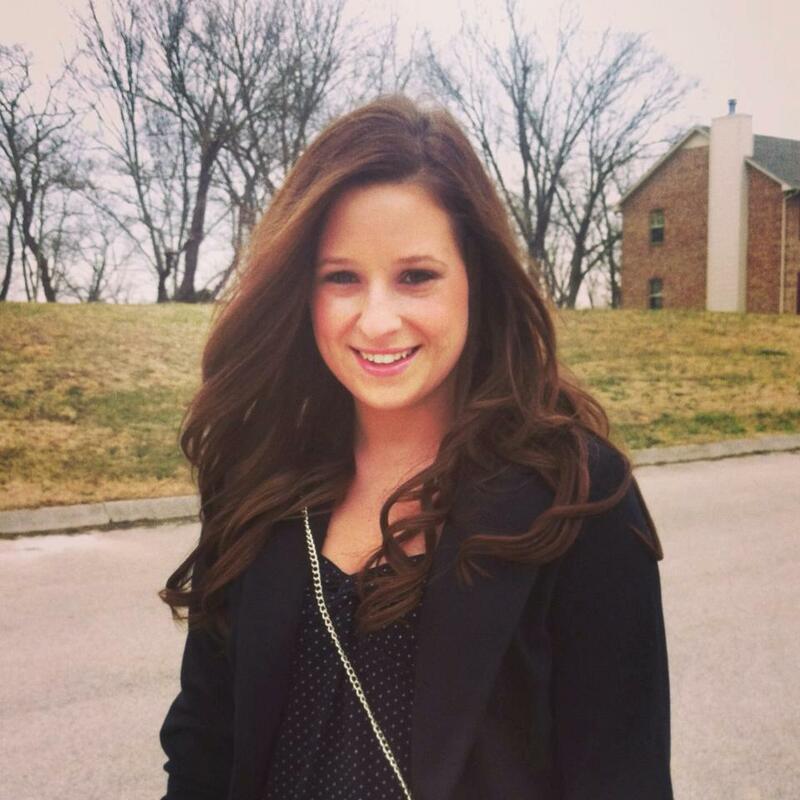 Sarah Kinsler is a December 2012 ETSU Public Relations graduate. An avid Vine, Instagram, Pinterest and SnapChat aficionado, she works with MarketingMel to provide clients with innovative marketing, public relations and social media strategies. Find her on twitter @sarah_kinsler. Beautiful Sarah! I treasure the hand-written letters that my mother writes to me. Like Hannah’s mother she would rather sit down and write than text or email and it is so much more meaningful than the other communications we receive. Thank you for sharing your feelings and Hannah’s moving TED talk. Keep writing those letters! While I love social media and the convenience of texting, you’re right. There really isn’t much special about it! The place I notice it the most is on birthdays! People used to send birthday cards, take time to pick out funny ones, or sappy ones, and put in a little effort to show they care … but now just a quick “Happy Birthday” on Facebook is all people can seem to muster up. I hope this isn’t a trend that stays around forever! I try to write at least one letter a week, usually to one of my elderly relatives, and 5-10 cards per week. It is important to keep this art alive. It touches hearts and minds. Thanks for the post. Mel – Thank You! I’m glad you enjoyed the Ted talk as well! Jennifer – You are so right. Birthday cards seem to be a thing of the past. Hopefully that will change! 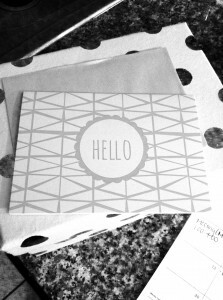 There is just something so great about receiving a card! Jessica – Stationary is so fun! It’s sometimes difficult to find the perfect card! Hope this inspires you to continue letter writing! Cindy – That is awesome! You sound like me. My dad always jokes with me saying I spend most of my money in stamps haha You are right though, people enjoy letters and they can make someone’s bad day better. I love “real” letters, both writing and sending them. It’s a wonderful way to communicate with others and is increasingly special. Mira, it really is special these days! I love writing and receiving handwritten letters and notes. They are becoming even more special a technology dominates communication these days. You’re so right Tiffany. Hand writing a note is definitely a differentiator.